Through our simplified user interface, open protocol support, mobile device options, and Web- and cloud-based architectures deliver new capabilities without complex learning curves. Easy. Intuitive. Effective. We offer some of the industry’s most innovative and open solutions, incorporating the flexibility of Mercury Hardware, and the standard communications of BACnet™. From a smart device or laptop, your team can make clear, informed decisions to more effectively secure your enterprise. Our team of experts will design a system that meets stringent security requirements and government regulations, so only authorized personnel access your security system. 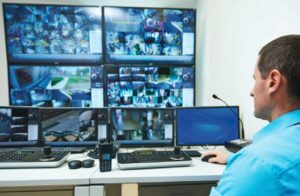 Integrate disparate security systems such as access control, intrusion detection, visitor management, and IP video into an easy-to-use interface. Today’s integration options, wireless, and cloud capabilities combine for a highly-efficient cost footprint, upfront and ongoing. The familiar, intuitive user interface reduces personnel training costs while off-the-shelf devices and universal protocols simplify support and maintenance. Get the right information when, where and how you want it. Intuitive interface that learns your trends. One-click lockdown and mobile applications that put you in control. Our expert team will design a system with future considerations for expandability and integrations. Health monitoring will alert you to possible problems that can otherwise be avoided. For more information on how Alpha Energy Solutions can meet your security needs, call us toll free at (888) 212-6324 or click here to contact us.